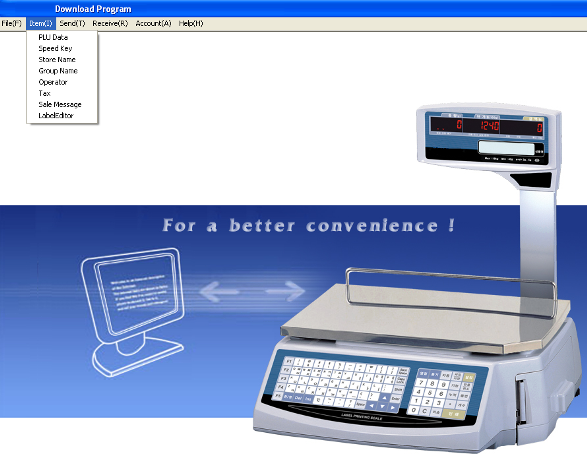 To further enhance your Label Printing Scale, Access POS offers Scale Programming Software that can be installed on any Microsoft Windows based Computer. This enables you to program new stock items, product groups, product ingredients or cooking instructions, keyboard presets and employee information and download it to your label printing scale, then retrieve daily sales data. Label Printing Scale Programming Software is especially handy if your product file is extensive and changes are common. In order to connect your PC to one of our Label Printing Scales, you will require a standard network cable. WIFI options are also available. You only need to purchase a single software license regardless of how many Label Printing Scales you have connected to your computer as long as the Label Printing Scales form a single LAN (Local Area Network) / (Single Retail Store). PROSPA PAY Buy over 13 weekly payments of $ 29.23 (ex. GST). No Interest ever and No Fees if you pay on time. Contact Prospa Pay online at PROSPA PAY or call 1300 706 983 for a simple over the phone application. No obligation.